Alongside the Huawei Mate 20 and Huawei Mate 20 Pro, the company has also revealed the massive Huawei Mate 20 X and seriously expensive Porsche Design Huawei Mate 20 RS. Starting with the Mate 20 X, this is a phone with a 7.2-inch screen, a 5,000mAh battery and a ‘super cool system’, which combines graphene film and a vapor chamber to keep the phone cool even while you’re pushing the CPU and GPU. These features combine to make this something of a gaming flagship – a big screen to see the action, a large battery to keep your games running and the ability to keep the phone cool at the same time. There’s no shortage of power or storage either, with the Huawei Mate 20 X packing the same 7nm Kirin 980 chipset as the rest of the range, and 6GB of RAM with 128GB of internal storage. Design-wise it's much like the standard Mate 20, complete with a teardrop notch. If you like the sound of it, you’ll be able to grab the Huawei Mate 20 X for €899 (around £790/$1,040/AU$1,460) when it goes on sale from October 26. 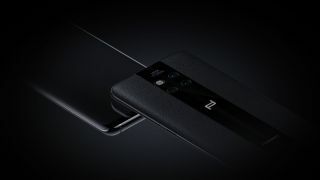 Then there’s the Porsche Design Huawei Mate 20 RS, which slides in at the top of the range thanks to its starting price of €1,695 (roughly £1,485/$1,965/AU$2,750) for a model with 8GB of RAM and 256GB of storage, rising to €2,095 (around £1,835/$2,425/AU$3,400) for a version with 8GB of RAM and 512GB of storage. Other than having more RAM and storage than the Huawei Mate 20 Pro, the Porsche Design Huawei Mate 20 RS also has a leather back and of course Porsche Design branding. Elsewhere the specs are similar to Huawei’s main flagship, including a Kirin 980 chipset, a triple-lens camera, a 4,200mAh battery and an in-screen fingerprint scanner. That phone lands from November 16, so you’ve got a little bit of time to save.